I enter the real estate profession with a wealth of knowledge, in a multitude of areas. My level of education, combined with my experience in both teaching and policing, provide me with an upper hand in efficiently working transactions and within strict, designated time frames. Also, after living in Glynn County for 10 years, and now Effingham County for almost 2, I have a high level of knowledge of both geographical areas and the areas, in between. In trusting me with this important life event, my clients can be assured of my working diligently and consistently, for them. My work is, and has always been, people centered; seeking to help, above all else. My love of people and homes, come together, here. 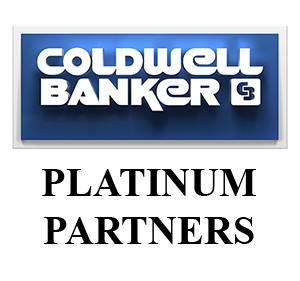 I am so excited to be working with Coldwell Banker Platinum Partners! From the moment I interacted with Dean Estridge, and through subsequent research of Coldwell Banker, in general, I knew I would select this Brokerage. From the client centered approach, that was detailed, to the over all, down to earth, family feel of this office, I was "sold". In addition, after learning about their "Home for Dogs", initiative, I was absolutely convinced! I feel so confident in my choice in working with Coldwell Banker Platinum Partners! I welcome any and all, to see for yourselves, if we aren't the best choice in conquering all of your real estate goals! Working in public service for so many years, prepares me for this next chapter in helping others, in the field of real estate. I am delighted to be a part of the exciting, and significant experience, of buying or selling a home.